A teenager was attacked outside Kirklees College in Dewsbury. 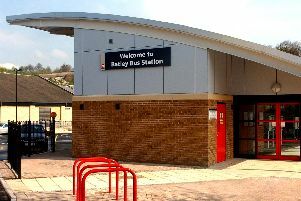 The incident happened just before 8.15am on Thursday, 21 April, the 18-year-old male victim was approached by a man on Halifax Road who began talking to him before lifting up his top against the victim’s will. The man was white, aged in his 40s, and about 6ft tall. He was of medium build, with a thin face, and he had curly grey hair and a beard. He was wearing grey jeans, a T-shirt, a blue and brown coloured zip-up jacket and brown builder-style boots. PC Nicola Thompson, of Kirklees Adult Safeguarding Unit, said: “We are keen to speak to anyone who witnessed this incident or who has information about the identity of the man involved.